2. In a bowl, beat cream cheese, onion, Italian Seasoning, garlic powder, pepper and lemon juice until blended. Stir in cooked and chopped bacon. 3. 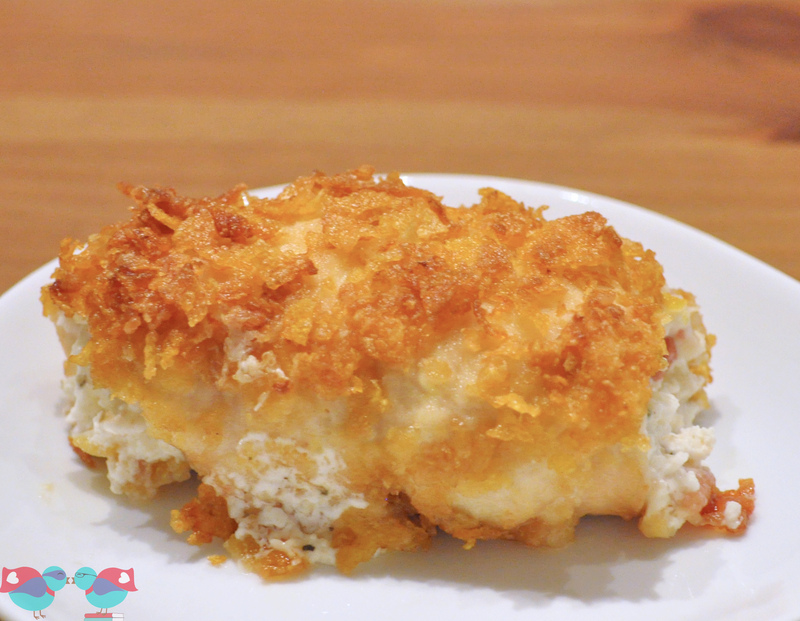 Spoon about 2 tablespoons of the cream cheese mixture on each piece of chicken and spread it out into a thin layer. 6. Drizzle some olive oil in a large skillet and heat. Briefly cook rolls over high heat, browning all sides. 7. 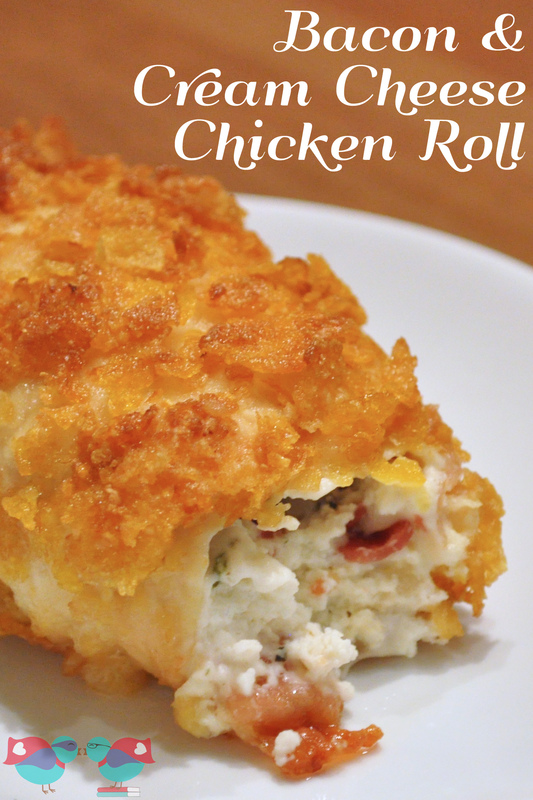 Place chicken rolls in a baking dish. Bake for 30 minutes or until chicken is fork tender and juices run clear. **You don’t want to soak the roll in the egg, but you need it coated enough to hold the corn flakes. **Make sure to really crush the corn flakes. It is more likely for smaller pieces to stick to the roll better.